WOW! One of my ActiveRain posts garnered 7 of the top 10 spots on Google! On July 3rd, my family and I were rescued by David Castilleja of Braswell A/C and Electric when our upstairs A/C unit stopped working. I decided to blog about my great experience in an effort to get him more business. He was quick, honest, inexpensive, and articulate. I realized that I had forgotten to put David's phone number there! So, I went to Google and searched for "braswell a/c and electric austin". What I found next may amaze you. As you can see, I have the top FIVE results for this term, with ActiveRain, my outside blog, and my Localism page. Localism was also in the #6 spot, and my outside team blog with four other Austin agents (www.austinhouseguide.com) was at #8. I am also #5 for "austin texas a/c repair" with this post. I guess I just wanted to illustrate how easy it is to get good exposure on ActiveRain for long-tail keywords. If you aren't familiar with the concept of the long-tail, these are more specialized SEO keywords that are easier to optimize for. Give some thought to fully using AR's tags, channels, Localism, and your AR outside blog to really leverage your efforts. I have seen this happen a number of times in the past, although this one did surprise me. 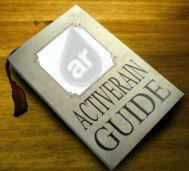 The ActiveRain RainMaker - Getting Results! Are Complete Profiles important? You be the judge! Your Blog May Not Be As Lonely As You Think! No Comments? How To Jazz Up Your Blogging- Free and Easy!